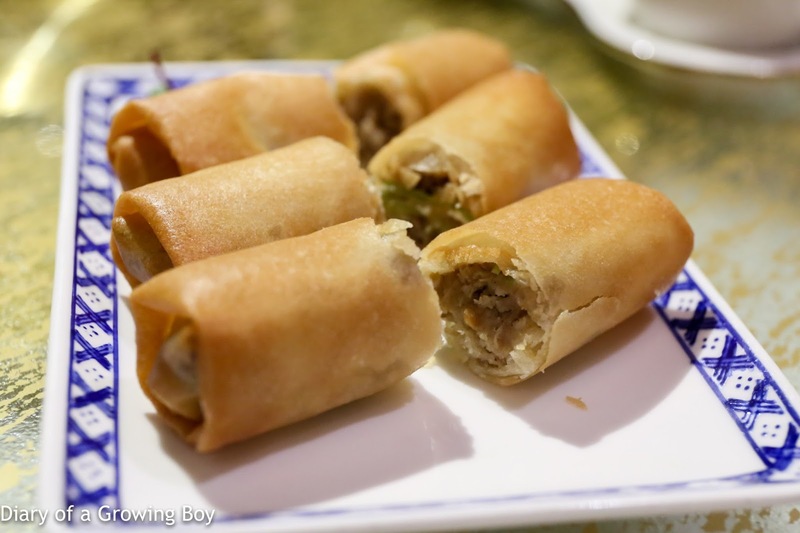 Golden-fried spring rolls stuffed with shrimps, duck, enoki mushrooms and taro (芋絲鴨春卷) - not bad, and I liked the taro. 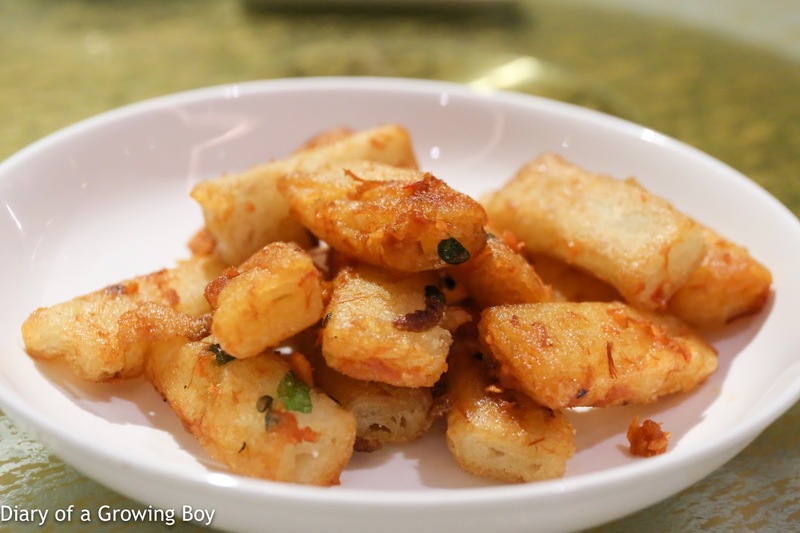 Pan-fried rice flour rolls with hommade spicy sauce (XO醬煎腸粉) - this has always been one of my favorite dishes here, thanks to the crunchy exterior of the rolls. This wasn't bad, but I've had better. 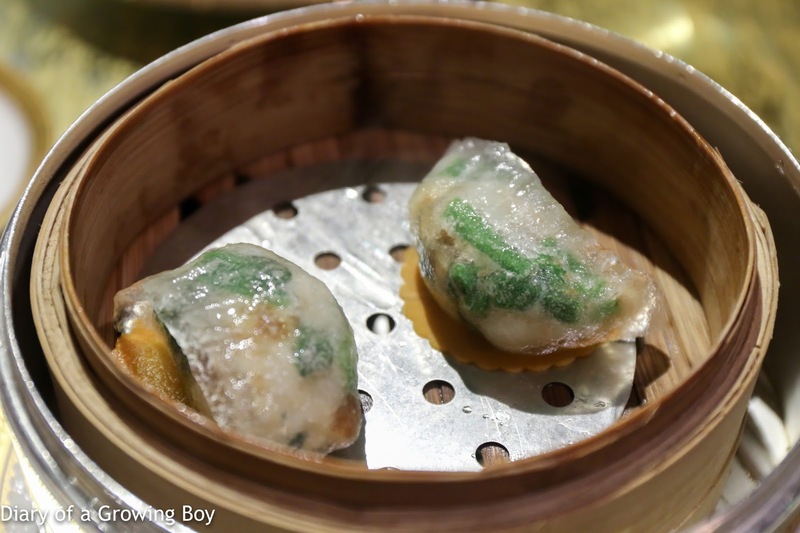 Some of the rolls didn't have enough of the XO sauce. 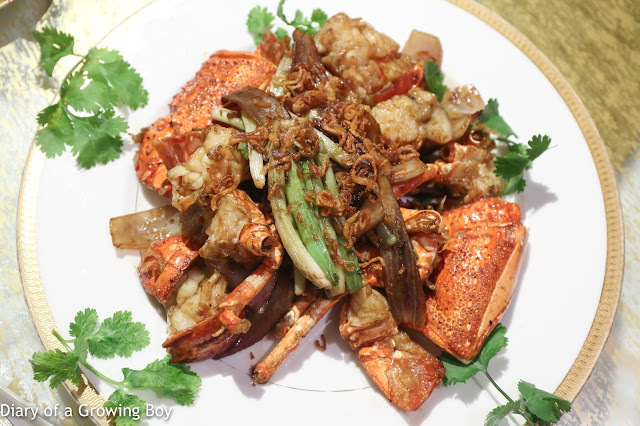 Stir-fried fresh lobster with spring onions, red onions and shallots (三蔥爆龍蝦) - supposedly one of the signature (and award winning?) dishes of the restaurant. Honestly, I don't get it. It's a (very slightly) fancier version of the classic lobster stir-fried with spring onions and ginger. What's so special about this?! 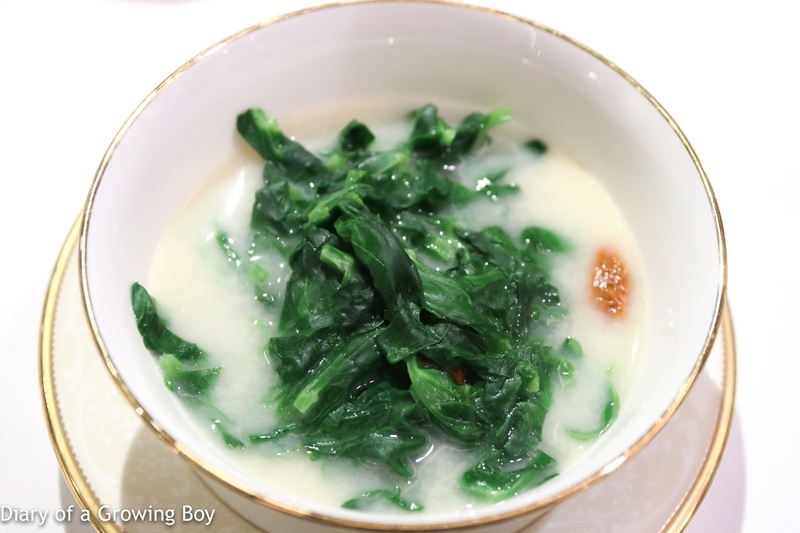 Stewed pea shoots with dried wolfberries in fish soup (黑杞子魚湯浸豆苗) - very simple dish, with quality pea shoots in delicate fish broth. 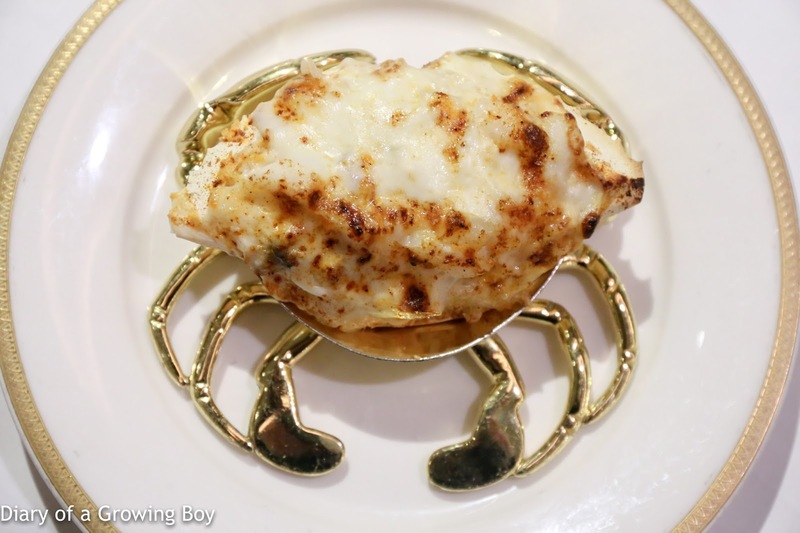 Baked seafood rice with cream sauce in crab shell (唐閣寳盒飯) - this was recommended to us, and was certainly rich and filling. 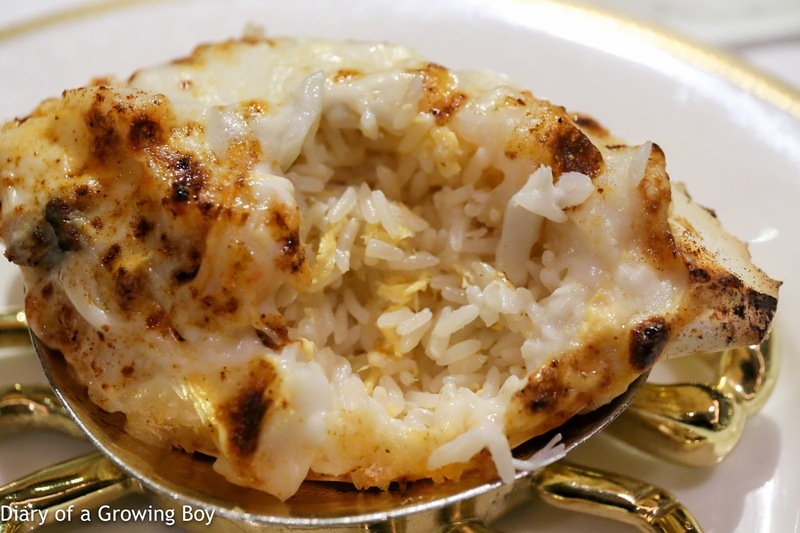 This was like the classic Cantonese baked rice, with fried rice as the base (炒底) and a crab shell as the vessel. Pretty decent, but finishing it at the end of the meal was a little tough.